Return to Work within a week or 2 after the surgery. 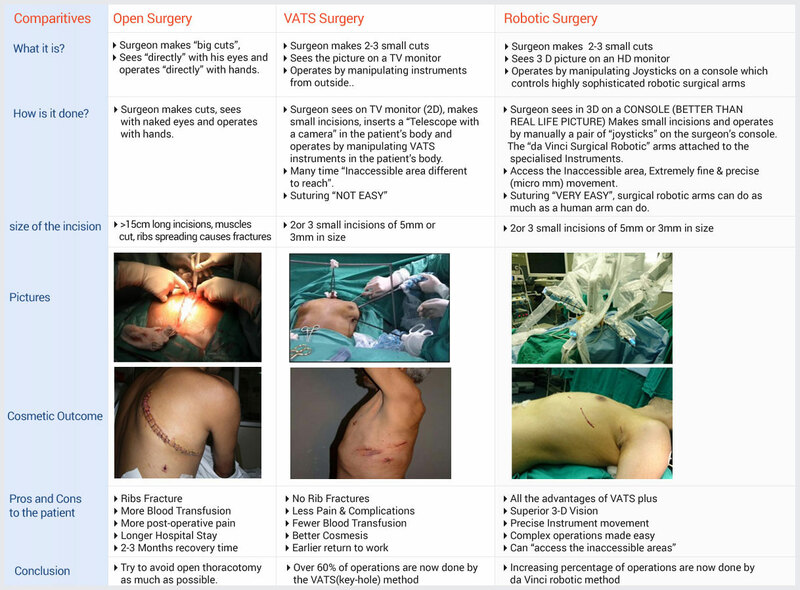 The following table clarifies the differences between open Surgery, VATS (Thoracoscopic) Surgery and Robotic Surgery. It will be obvious that when applicable, robotics offers the best option. please click on Image to see complete Table.